This month I finally feel that I am growing as a designer. I have added two new platforms in my designing portfolio. In total now I am designing on four platforms. 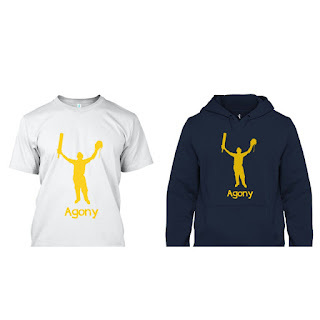 Two new platforms on which I have started designing have tees and hoodies. December was dedicated to designing. In December lot of stuff was designed for this month and I received positive response on that. Every month I am trying to bring something new in my designs. In this month's designs as well I have played with few things to bring in the novelty. Let's have a look. On freecultr I tried new bases last month. This month I have further added in those bases. 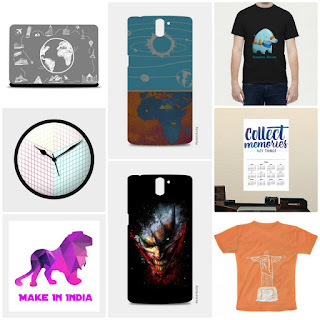 There are five designs this month on freecultr and none of them are on plain bases. 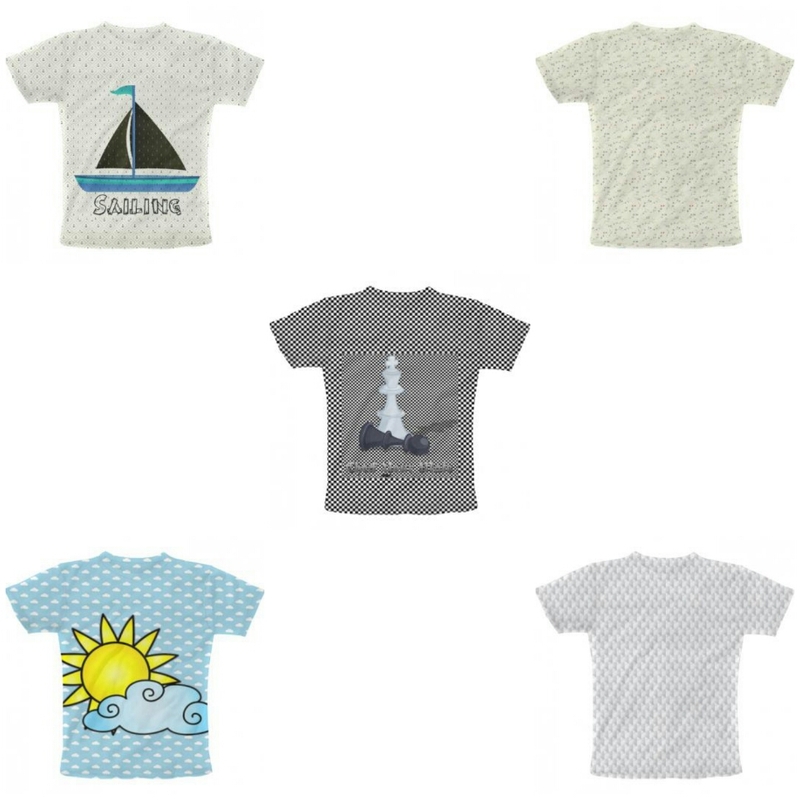 There is a sailor's tee in off white with sailor's sign all over and a boat showing the act of sailing. Second tee is on the game of chess. It is made on the black and white checks which I added last month. It has the message which chess teaches us with couple of characters of the game. Third one is floral tee with flowers all over it. Fourth tee has 3D boxes in white on it. While in fifth tee I have added sun on the cloudy base. Since last month I am saying that I have the most varied collection on PosterGully. I am saying that on the basis of variety of designs in my collection. 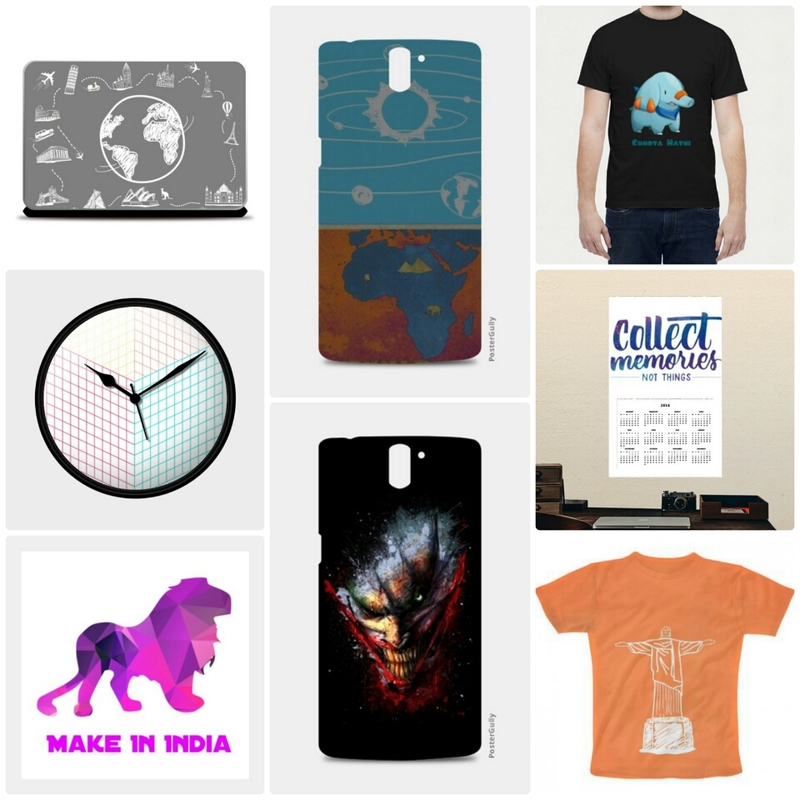 Cartoons, geometric designs, planets, quotes, logos, aliens, bikes, cars, animals, monuments, famous characters like joker and simpson everything I have in my collection on PosterGully. As the temperature was touching new lows, number of hoodies was touching new highs in my collection. 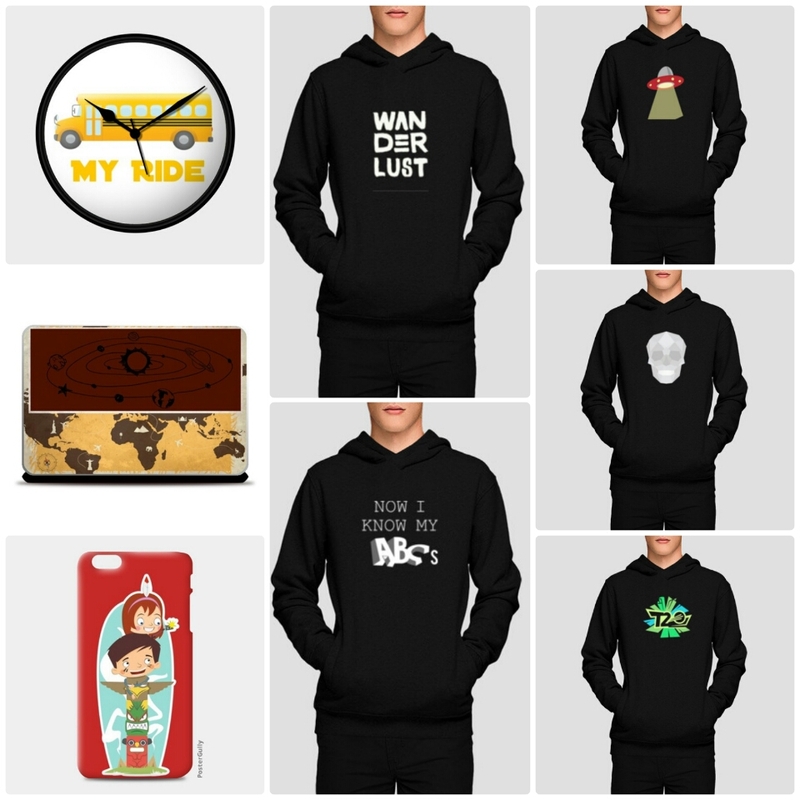 There are as many as 35 hoodies in my collection at the moment & there is different design on each one of them. 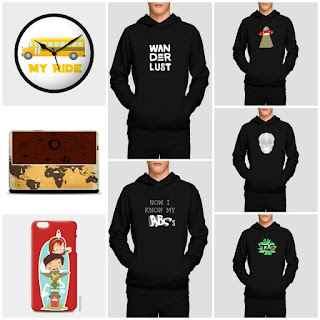 Apart from hoodies I worked on wall arts, mobile cases, tees, tops, laptop skins, cushion covers, wall clocks, coasters, accessoriy boxes etc. I told you December was dedicated to designing. I came to know about it on facebook. It has different concept all together. On freshmonk tees and hoodies are available for limited period. In other words there are limited edition t-shirts and hoodies of one design. I have made three designs on freshmonk so far and those three designs are related to batman, cycling & blogging. 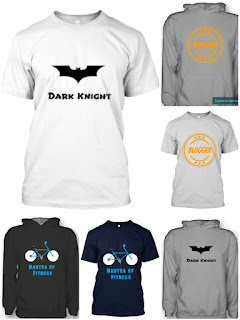 We all love batman & we all know he is a dark knight so one of the tees related to batman is displaying that. Among other two one is for bloggers and other is for fitness freaks showing the importance of cycling. Again all these t-shirts and hoodies are limited edition so it won't be available for long. So if you want buy them then grab them quickly. Dream store has the same concept as of freshmonk but the only reason I started designing on dream store is because of cricket clip arts it has on its platform. The only design on dream store is related to cricket. Cricket is all about agony so here is a t-shirt and a hoodie showing agony in cricket. As months are passing number of products making it to the products of the month are increasing. In december following products got thumbs up from you.